What is SMS Hack: How to hack SMS messages? Read about it! With the enhancements and development in the technological field you definitely need to find out a clue through which you can crack out the hidden passwords with which your loved ones hide their mobile phone activities. Generally every user today owns a personal device which brings out enormous application and features to assist your communication and connectivity with people. However, the problem is that people instead of making the generous and adequate use of such technologies fall out of their set parameters and start using their phone and internet at unexpected rate. This unfortunately disturbs your personal real life relationship with your family members. Text messages or you could say the SMS have been the most basic form of communication that came up right with mobile phones. So you always had an option to get more advanced with the help of SMS feature. However now knowing out what is being conversed on such SMS is highly desirable by the parents, spouses and even the employers. And to do this TheTruthSpy Application helps you out at its best. Our application comes with uncountable features that not only help you to conduct easy surveillance on anyone, but also helps you in keeping your personal details secured. The application comes with high quality features and technology that could easily trace your family members or any person who is your target without even letting them know. This application therefore, is a perfect option for all the individuals who are looking to maintain security within their home or organization! This is probably the major question which all of you might have been thinking off. Well even after the social media websites and applications came up it is essentially required for all the people to get hold and record of text messages being sent through SMS. They contain highly essential data especially in the case of professionalism. Every individual gets full on information of his office documents, messages, sensitive Pins, OTP and other details are usually sent on your mobile as SMS. In fact your verification process in any of the special firm or reputed organization or for the approval of any facility is only accessible after your phone generates the pin sent as SMS by the company. Parents or the guardians are always on a lookout of what their kids are doing and whom do they talk with. In fact this is highly essential because texting can literally make your children fall in the uncertain traps. Even spam messages sent by the hackers or blackmailers can disrupt the quality of life your children are living. 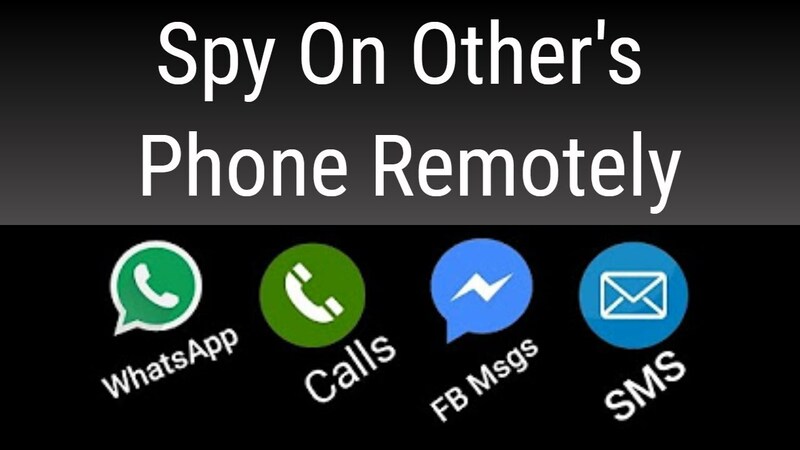 To protect them from all such things you must definitely use the spy app and monitor the activities of your children or teenagers. Partners or spouses today feel highly uncomfortable when they see their partners using their mobile phones all of the time. So if in case you have eventually seen them texting someone when you are not around, then you must definitely sharpen up your brain and do some Innovative thing which could help you out from getting trapped. Now with the help of such a smart spy app you can always know the full proof detail of all their conversation within no time. Employers have always been keen to know all the details of their workers’ whereabouts as they can’t be trusted so easily within any organization. People today are not how you think they appear therefore you must always take up strict actions to maintain the decorum of the organization you are heading. So provide all your workers with the company mobile phones and install this app on their device in advance. 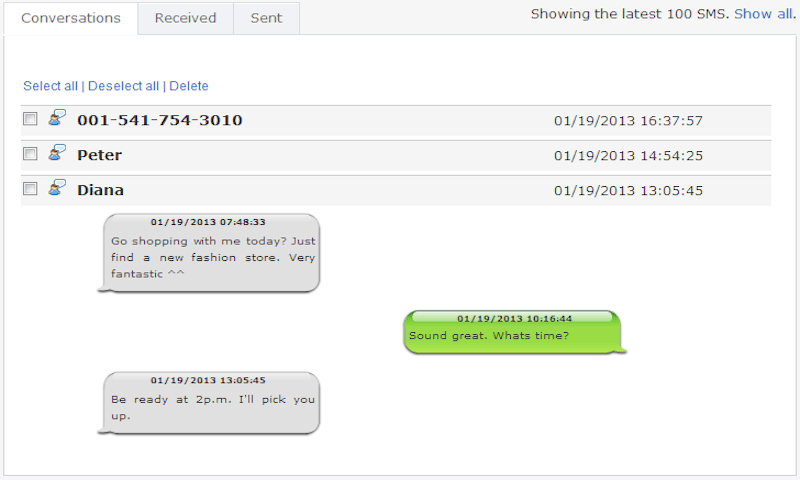 This will let you get the full details of their behavior upon their SMS. 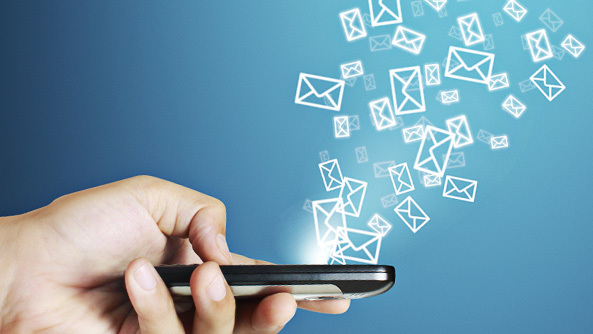 Content of SMS– everything which is written within the message being transmitted by your target user gets visible right after the installation of our app. You will eventually be able to read their texts while also having the same detected and stored upon your control panel. 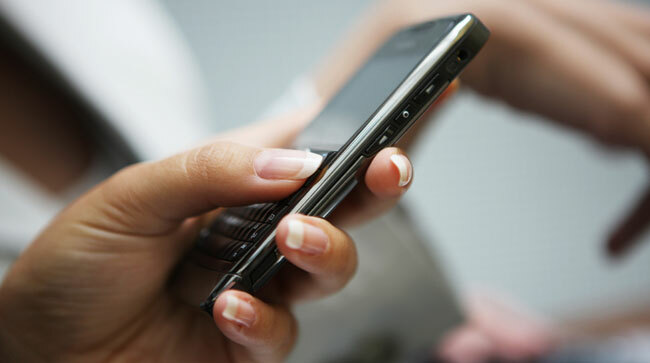 The time and date of the SMS– this is one essential aspect of the messages that you must go through. What actually happens is that every message gets stored within your phone chronologically. So with the help of our spy app you can always know when the text was transmitted to your targets device. Details of the sender– so definitely this is something which you need to know within the meantime. When you start tracking upon their phone, you will ultimately get the full details of every text that you see along with the name, number and other details of the sender. Hidden or deleted SMS– a lot of times your target user might hide out the texts or SMS right through the help of passwords. They might even delete the conversation to hide out their behavioral patterns. So if anything as such happens, you just have to get updates with TheTruthSpy and get the full information of deleted or hidden SMS. So these are some of the basic concepts included within an SMS conversation. You just need to install the application on the target source and do nothing else. All their activities including SMS, social media texts, calls, video conversation, multimedia files, and much more would be easily catches up by you. You can also manipulate any of the text in case you want, or can delete it with remote controlling feature that is provided to you by the application. So now you might be pretty much aware of how beneficial this application could turn out to be for you. But the big question is that how will you proceed with the initial step of downloading and installing the application? Well, it’s something really easy and simple. You always have more alternatives with TheTruthSpy app which make things easy to grasp and handle. Here are some basic steps you can follow up to install the application on both yours and targets device. Go to the official site of TheTruthSpy app and have your device handy around you. Now you will see two options that include iOS and Android downloading alternatives. As the application completely follows up the legal ethics, you might require getting your documents sorted with the app. This means you should have a particular relationship either with the user of the phone or with the phone itself which you wish to hacks. Now choose the right option as per your device and then just get it downloaded after paying the required affordable amount. As you get the downloading done you will install the application on your one device. You will now start up with the setting up of accounts and registration process. So for doing that you will be provided with complete instructions so just follow them up. As you register, you will also be provided with an online control panel that works amazingly well with the app. This panel secures all the spied up data and works as a proof for you all of the time. So even if in live time you were busy or you left upon something, you can easily read or see that stuff with your control panel. Doing the installation remotely– this is one fine way through which you could get the application popped up on their phone. It is quite critical but at the same time it’s extremely helpful and beneficial. You just have to give a call or send an order text after setting up the account on your device. When you do so, the application will generate a code through which both the devices will be connected. Doing the installation manually- manual installation is quite easy however the riskiest alternative is for you. If your child, partner or employee doesn’t let’s you touch his or her phone then this is going to be some crazy and complex thing for you. So hiding from their eyes, just get their phone and install the application on it. You will then have to securely build a connection between both phones and your task is done. After you are done with any of this method, and your phone gets linked with the device you will receive a confirmation message. Here is when your journey will begin up. Now each of the data or activity which would be held on the device will be directly sent to your phone. You will now be capable of reading all their SMS, call, social media texts, and much more. You will always have the right to get the details of the same put upon the control panel. This panel will be kept secured even if it’s deleted from the source device. Why is the best software ever? Highly affordable– affordability is the key product which comes with our app. You will always find uncountable apps online but still this is the only one which brings quality with price. Here you will neither have to shell off your entire pocket nor have to stay concerned about the quality. The product is up to the mark. 24×7 connectivity– getting through the application might something turn out to be complicated as you could get trapped in understanding some of the features. So if any such thing happens just get to the official page of TheTruthSpy app and you will find the experts forever there to solve out your queries. Compatibility with operating systems– This app can not only be used upon the Android devices but it could be easily put upon the iOS devices. Along with this you can do the same with laptops and computers including various other gadgets that you wish to hack. All the details will be easily monitored and secured. Completely undetectable– this is something that each one of us desire to experience. The application even if isntalled remotely or manually can be easily hidden upon the source device. Your targeted user would never be able to track you or find you out. You will eventually be the one who stays hidden and undetected while the whole work goes on. Free trial period- so definitely all of you are not going to love the app even if it does wonders to you. Therefore for such people who don’t find satisfaction easily, the developers provide a free trial period which lets you use every facility of the app without even paying for it. In case you like the app you can purchase it, if not then don’t. Thus TheTruthSpy app is optimized for you and every member of your family whom you wish to keep safe and secure from the increasing atrocities of the world.